6 Pack Abs Fat Burning H.I.I.T. Workout &#8211; Powered By GH Peak™! Every "Ab Guru" you come across these days seems to have the “6-pack secret” or the “shortcut to abs”, and although those crunch-athon workouts might do a good job at leaving you sore the next day - they all miss out on the most crucial factor responsible for revealing your six pack… burning fat. Plain and simple, we all have abs, but you’re never going to see them until you burn off the fat. Hey! 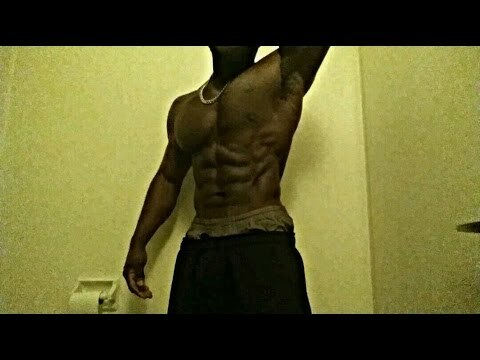 David Morin here from Blue Star Nutraceuticals and today I’m going to run you through a high intensity ab carving workout, designed to skyrocket your natural Growth Hormone production - all while cranking up your metabolism for hours after you leave the gym, for almost effortless fat loss results. Ready for a workout that reveals your abs - rather than just making them hurt? This is the “6-Pack Abs” Fat Burning H.I.I.T. Workout - Powered By GH Peak™! Performing high intensity training like you’re about to today, has been clinically shown to increase Growth Hormone and IGF-1 levels in as little as 10 minutes - resulting in increased protein synthesis, fat burning and performance. For this workout, you’ll perform 6 exercises in circuit fashion. Perform each exercise for 30 seconds as hard as you can, then rest only 15 seconds between exercises. Continue in this fashion until you complete all 6 exercises - that’s one round. The high intensity work intervals combined with the short incomplete rest periods crank up your natural growth hormone and create a greater oxygen debt, commonly referred to as EPOC which skyrockets your metabolism for up to 38 hours after exercise. Take 2 minutes to rest and rehydrate with AminoFast™ between each round. 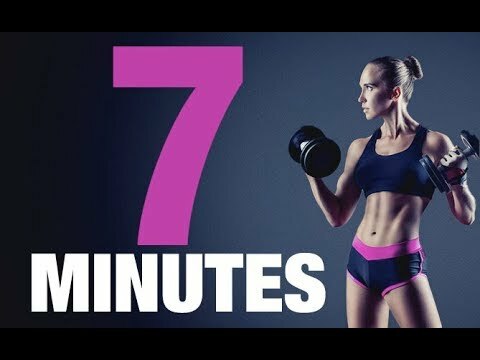 Your goal is to complete 5 total rounds and finish the workout in under 40 minutes. Sprawl back into a plank, body straight like a board, jump to your feet, jump straight up in the air as high as you can, then smash the med ball down on the ground with head-to-toe power and momentum. Sprawl back on the ball again and repeat. Set up in a plank position with your feet up on an exercise ball, contract your core and pull your legs in towards you - just like you would for a hanging leg raise. Your body should form an upside down V at the top, then control back out to plank position and repeat. Hang from a pull up bar then contract your core driving your knees up to your chest. Perform the first rep in the middle then alternate side to side and repeat that sequence so your abs and obliques all get hit hard. Keep your arms straight, holding a plate or dumbbell and twist your body back and forth bringing the weight from outside your left knee to over your right shoulder - complete all reps on one side then switch sides to evenly work both during the set. Set up in a pushup position - body straight like a board and drive your knees up to your chest one at a time, then back to pushup position. Alternate side-to-side every rep. Lie on your back, hands at your temples, shoulders and feet off the ground. Drive your opposing knee up as you crunch your elbow in and twist your body, touching your elbow to your opposite knee, then alternate side to side so your feet are pedaling in the air like riding a bicycle. And that’s the “6-PackAbs” Fat Burning H.I.I.T. Workout - Powered By GH Peak™! 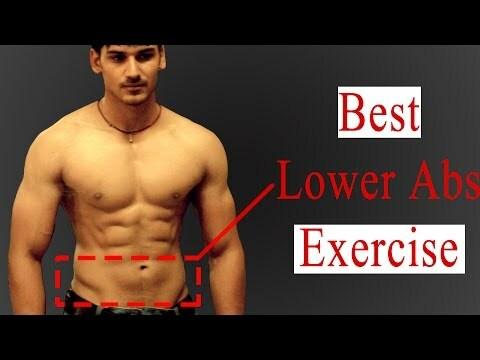 Simply adding this workout into your routine 3-4 times per week in place of traditional boring cardio sessions will supercharge your natural growth hormone secretion and chisel out your abs faster than you ever thought possible. That’s why we make these videos - to help you transform your body by giving you the tools you need and the power to use them. Every “Ab Guru” you come across these days seems to have the “6-pack secret” or the “shortcut to abs”, and although those crunch-athon workouts might do a good job at leaving you sore the next day – they all miss out on the most crucial factor responsible for revealing your six pack… burning fat. Hey! David Morin here from Blue Star Nutraceuticals and today I’m going to run you through a high intensity ab carving workout, designed to skyrocket your natural Growth Hormone production – all while cranking up your metabolism for hours after you leave the gym, for almost effortless fat loss results. Ready for a workout that reveals your abs – rather than just making them hurt? This is the “6-Pack Abs” Fat Burning H.I.I.T. Workout – Powered By GH Peak™! Performing high intensity training like you’re about to today, has been clinically shown to increase Growth Hormone and IGF-1 levels in as little as 10 minutes – resulting in increased protein synthesis, fat burning and performance. Continue in this fashion until you complete all 6 exercises – that’s one round. Set up in a plank position with your feet up on an exercise ball, contract your core and pull your legs in towards you – just like you would for a hanging leg raise. Your body should form an upside down V at the top, then control back out to plank position and repeat. Keep your arms straight, holding a plate or dumbbell and twist your body back and forth bringing the weight from outside your left knee to over your right shoulder – complete all reps on one side then switch sides to evenly work both during the set. Set up in a pushup position – body straight like a board and drive your knees up to your chest one at a time, then back to pushup position. Alternate side-to-side every rep.
And that’s the “6-PackAbs” Fat Burning H.I.I.T. Workout – Powered By GH Peak™! That’s why we make these videos – to help you transform your body by giving you the tools you need and the power to use them. NOTICE: Get our brand new, results-driven, research-backed programs "The GH Code" and "Cardio Free Abs" 100% Free with your purchase of GH Peak™ today! About to do this.. I won't be doing 6 rounds.. but let's see how I go.